At Hole In One International, we love hearing about unique/other golf contests that people insure during their golf tournament! And thanks to our sister company, Odds On Promotions, we can insure one for you! Golf lovers, stop right where you are: you’re absolutely going to love this innovative radio station golf promotion that comes to us from a radio group out of Idaho. Chances are that you’re even going to want to steal this idea for yourself after reading about it! On the event date, the 10 listeners who qualified on-air will come to the local golf course where the promotion is being held and attempt to drive a golf ball 185 yards into a 2-foot floating ring! If the golf ball falls within the ring/circle, then that contestant will be the brand new owner of a truck valued at a whopping $30,000… paid for by Hole In One International‘s sister company, Odds On Promotions! This promotion is a great one to pair up with a hole-in-one, putting contest or million dollar shootout insurance policy from Hole In One International! And the best part about insuring prize coverage with Odds On is that even though this event took place on a golf course, it doesn’t even have to! Indoor banquet halls, tradeshows, you name it — Odds On can insure your future golf promotion any time, anywhere! Be sure to give Odds On Promotions a call at 888-827-2249 for a free, no-obligation quote on any/all of the golf promotions Odds On has to offer… or email them for more information, or even if you have a unique golf promotion idea of your own! If there’s a risk involved and no guaranteed winner, they can insure it without a problem! P.S. Make this a winner in any venue by using a short-distance ball and/or a floating range ball. The good news is that we can hook you up with a fabulous company who insures everything from golf ball drops to chipping contests… and even jumbo dice rolls which can be held during your golf tournament! The even better news is that the prize insurance coverage is provided by our own sister company, Odds On Promotions! Whether you want to hold your contest/promotion on an actual golf course or at a completely separate location, Odds On would be more than happy to help you plan, set up — and most importantly — insure your next golf promotion! Feel free to browse all of the golf promotions Odds On has to offer… and if there’s not something on the list that you’re interested in insuring, don’t fret – just give one of their Promotion Specialists a call at 888-827-2249 or feel free to email them for a free, no-obligation quote and any other information you might need! 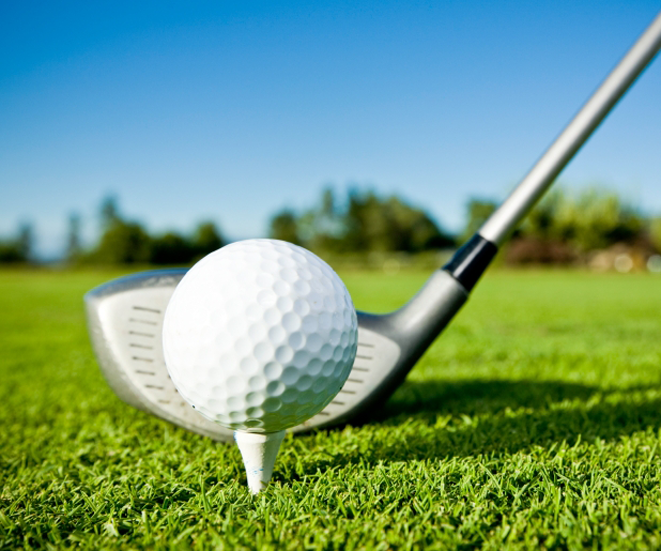 Looking to increase fundraising dollars at your next golf tournament? Want to insure something unique in addition to your hole-in-one, shootout or putting contest? We’ve got just the promotion for you: a Lucky Duck Pluck, which can be insured through Hole In One International’s sister company, Odds On Promotions! Surely you’re wondering how it works. All you need to do is simply place a bunch of numbered rubber ducks in your golf course’s pond (or any other body of water). These rubber ducks can be your everyday traditional yellow rubber ducks or even “golfer” or “golf ball” ducks, as seen in this post. Feel free to have some fun and have a variety of different ducks floating around in there! Tip: Have a major golf tournament sponsor? 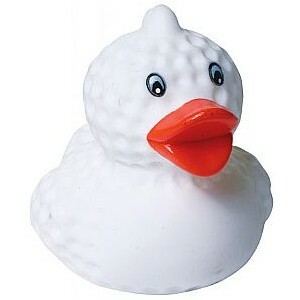 Here’s an idea — how about customizing your rubber ducks by including their logo on them? Qualify your players to participate in the Lucky Duck Pluck via raffle, closest to the pin contest or other golf-related contest if your golf tournament is prior to the Lucky Duck Pluck, then have those qualifiers come back and select one “lucky duck” from the pond. Feel free to charge players $x to participate in order to fundraise for your cause! Each rubber duck will contain a number. If the numbered duck the player selects happens to match Odds On Promotions’ pre-selected number, then they’re an instant winner… of any prize value you happen to choose, up to $1,000,000! There are multiple ways to have your players check to see if their duck is a winner. You can either use Odds On’s handheld verification unit or have the player call Odds On’s number verification hotline, enter the number on their duck and see if they’ve won! Want to insure for multiple winners? No problem! You don’t have to insure for only 1 lucky duck — feel free to insure for 10 winners, for example, and have the total prize value (e.g. $100,000) split between each winning duck. That would mean that theoretically, 10 people could each win a $10,000 prize! You can also have a certain amount of rubber ducks (or all of them which aren’t the grand prize winning duck, for that matter) contain auxiliary prizes which can either be self-insured or provided by Odds On! Want a free, no-obligation quote on this promotion? Feel free to give Odds On Promotions a call at 888-827-2249 or email them at any time. Rest assured, they’ll help you customize your promotion to where you get the most bang for your buck! Fundraising Activities – pt 2. Last week, we went over activities and contests to help you fundraise before your golf event. This week it’s all about what can take place during and after your event! Read on for more pointers! During your event, a great fundraiser to hold is a Par 3 Challenge. Every golfer loves some good competition – not to mention the chance to show off, which is why this contest is so great. Have one person bet their team $x that they can get their ball on the green with a single swing. If they miss, that money will go to charity; if they make it, they can either get their money back, receive a discount at the pro shop… or both! Another great idea is to have each team on the golf course purchase a Long Drive and have a local Long Drive champion there on the course with them. Depending on who wins (the player or the ‘champ’), half of the money put into the contest will go to the victor, while the other half goes to charity! Don’t you just love it when everyone’s a winner? After your event is the ideal time to hold a Million Dollar Shootout. Once again, charge players $x to get in on a raffle, draw a random name and have that person try and make a hole in one for a whopping $1,000,000! After the event is also a great opportunity to hold a silent auction, which can be set up prior to the event. Be sure to post up sign-up sheets for next year’s event and give players a discount off of the regular rate if they register on the spot… or an additional discount if they pay right there and then! Looking for more contest ideas to help you fundraise at your next event? Feel free to call us at 800-827-2249… or email us! We’d be happy to help!